DATABASICS Time & Expense helps to grow and optimize mid-size and enterprise companies with an all-in-one timesheet and expense reporting solution. With unprecedented access to your data, you stay in control of travel spend and can make smarter decisions about your business. With a software solution built for end users that also makes life easy for the accounting team and the C-suite, DATABASICS Time & Expense is the right solution for the whole team. With more than 1 million users in 140+ countries, DATABASICS is trusted the world over. With features like per diem management, P-Card management, receipt capture, OCR, leave management/PTO reporting, and project tracking, DATABASICS is the all-in-one solution you've been looking for. 1. Automated time and expense tracking with solid interfaces to/from various other applications. 2. Improved (over the course of many years) end user time and expense interface. 3. Hosted environment with the database custody proviso. 4. Top drawer customer supportI like most: 1. Customer Support through the Databasics support website/portal 2. Application stability - little to no downtime 3. Application functionality 4. Ease of administration 5. End user experience We have a 360+ employee user pool who all use the time sheets with a good portion of that total also using the expense reporting. We have used Databasics since version 4x, through the years upgrading to version 5x and now version 6x in the hosted environment. The application is generally easy to use, in most cases, requiring only a brief initial orientation and from there, minimal end user support for the application. Many employees have taken advantage of the mobile application to enter either time or expenses while traveling and this was a welcome functional addition received with version 6x. Receipt imaging and organization was another welcome addition. We extract and interface expense data (weekly) and time sheet data (semi-monthly) from Databasics to our accounting application. We also import and interface organizational data (employee information, accounting structural data, etc...) into Databasics from both our accounting and HRIS applications. While managing these interfaces requires some training, assistance is always available if needed. I like most: 1. Customer Support through the Databasics support website/portal 2. Application stability - little to no downtime 3. Application functionality 4. Ease of administration 5. End user experience We have a 360+ employee user pool who all use the time sheets with a good portion of that total also using the expense reporting. We have used Databasics since version 4x, through the years upgrading to version 5x and now version 6x in the hosted environment. The application is generally easy to use, in most cases, requiring only a brief initial orientation and from there, minimal end user support for the application. Many employees have taken advantage of the mobile application to enter either time or expenses while traveling and this was a welcome functional addition received with version 6x. Receipt imaging and organization was another welcome addition. We extract and interface expense data (weekly) and time sheet data (semi-monthly) from Databasics to our accounting application. We also import and interface organizational data (employee information, accounting structural data, etc...) into Databasics from both our accounting and HRIS applications. While managing these interfaces requires some training, assistance is always available if needed. User feedback indicates that the time sheet form could be improved. The one recurring complaint/suggestion sine version 4x is that time sheet lines cannot be drag-n-drop managed for user sorting preferences. As an administrator, I dislike the fact that I no longer have physical custody of the database for other analysis or reporting needs. All ad hoc reporting must be done through the embedded Jasper reporting application. This generally meets the needs but is sometimes inconvenient to use. We very much appreciate your thorough review of DATABASICS. Hearing about how it benefits you makes our day! Thank you, also, for your suggestions and feedback concerning reporting and the time sheet. Please continue to reach out if you have questions or concerns. We're thrilled for the opportunity to help! Moving from a paper tracking system to an electronic system has saved us money, allowed for better expense approval processes and increased the reimbursement turn around for our users. Using the mobile app and website allows approvals to happen from anywhere as long as an internet connection is available. The software is easy to manage and setup. It is easy for the users to use. Mostly the Customer Support team is excellent in assisting when you have a problem. Individuals goes out of his way to get you a quick response to any problem or question you may have. It is great to have that kind of support behind you. Staff are responsible for inputting their own reports and the automation of the approval process.The product is easy to use and administer and the functionality has come a long way since we started using DATABASICS. They are constantly improving their software and their procedure documentation. They are always willing to help us deal with situations or new configuration requests, coming up with solutions or adding them as a future enhancements. I love working with their employees, they are always willing to listing and meet with me to discuss items. DATABASICS started to provide webinars so that you can learn new things about the software as well as using them as a refresher. 1. Cant hit the back button 2. I would like to be able to match a cc charge to an existing entry. Thank you for your thoughtful review of DATABASICS! We love to hear that you're now empowered with data about your organization. We're also thrilled to hear that our support service has been beneficial in solving unforeseen or unexpected problems. We are very appreciative of the time you took to tell others about us. Thank you bunches and bunches! Thank you for your review! We're happy to hear that logging your time is easy. Look for a section titled Time Preferences. In that area, you can adjust the percentage of your screen taken up by your timesheet. 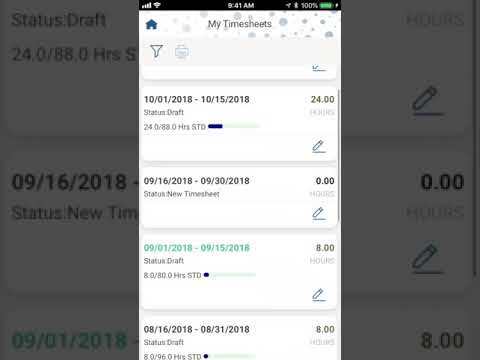 If you enter "30%," for example, then the timesheet will adjust to fit into one screen in draft mode. Then, click "Apply Changes" at the bottom of the screen. Try entering different percentages to see what you prefer. We hope that this fixes the concern you noted. If we can help, just reach out at support@data-basics.com. Contact DATABASICS for detailed pricing information. DATABASICS provides easy-to-use project management tools: Each project uses Start/Stop to track actual time/spend to the second. Real-time insights: Cloud-based software provides analytics to give you better insights to make better-informed decisions using your employee labor data. Exact payments: Increase the accuracy of your payroll with automated data feeds. Import credit card feeds: Bring credit card transactions directly into your expense reports. Accounting integrations: Combine the power of DATABASICS with the accounting system you already use. A completely mobile tool: Whether you work on desktop, tablet, or smartphone, all functionality is available, keeping you productive on the go. Below are some frequently asked questions for DATABASICS Time & Expense. Q. What type of pricing plans does DATABASICS Time & Expense offer? Q. Who are the typical users of DATABASICS Time & Expense? Q. What languages does DATABASICS Time & Expense support? Q. Does DATABASICS Time & Expense support mobile devices? Q. Does DATABASICS Time & Expense offer an API? Yes, DATABASICS Time & Expense has an API available for use. Q. What other apps does DATABASICS Time & Expense integrate with? Q. What level of support does DATABASICS Time & Expense offer? Q. Which apps is DATABASICS Time & Expense compared to most often?